A quick post today! Did you pick up the new Australian Cardmaking Stamping and Papercraft magazine? There are plenty of new inspirations in the magazine under different themes and fantastic tutorials as well. Great issue! I have couple of cards in the magazine and here is one for Diamonds and Gems theme. I used Winnie and Walter’s So Precious stamp set to white heat emboss the diamond images and watercolour them with Zig Clean Brush pens. 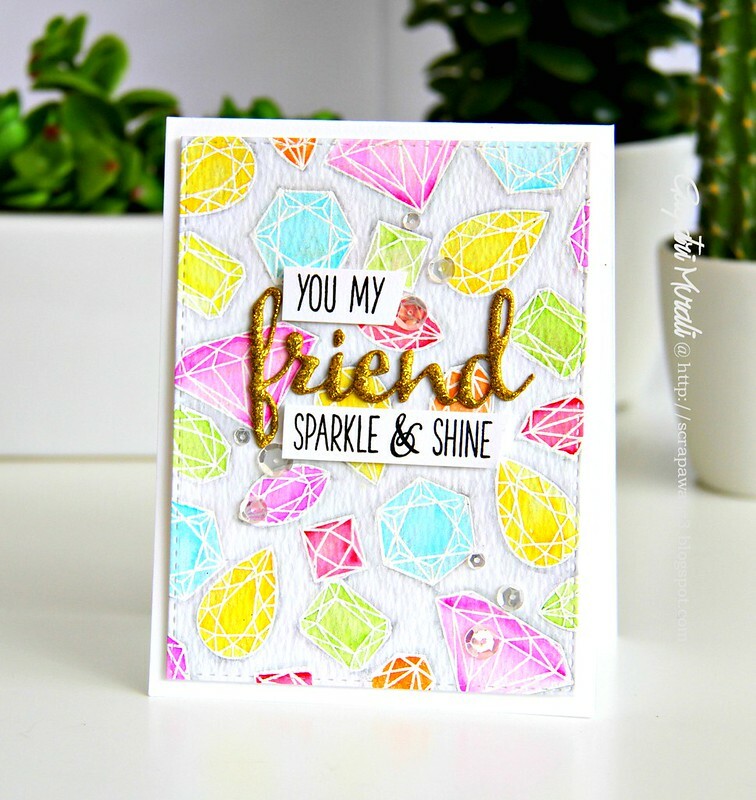 The sentiment is from same stamp set with die cut “friend” using The Big, the Bold and Friends cutaway also from Winnie & Walter. Embellished with the pretty Sparkly Clear sequins from Pretty Pink Posh. The magazine is now available for purchase at all Supermarkets and Newsagency. If you like to subscribe, CLICK HERE! Thanks for sharing my excitement today with me! Congratulations!! Love this card!! Very beautiful!